Clinton’s Confederate Flag ‘Rebel Yell’! 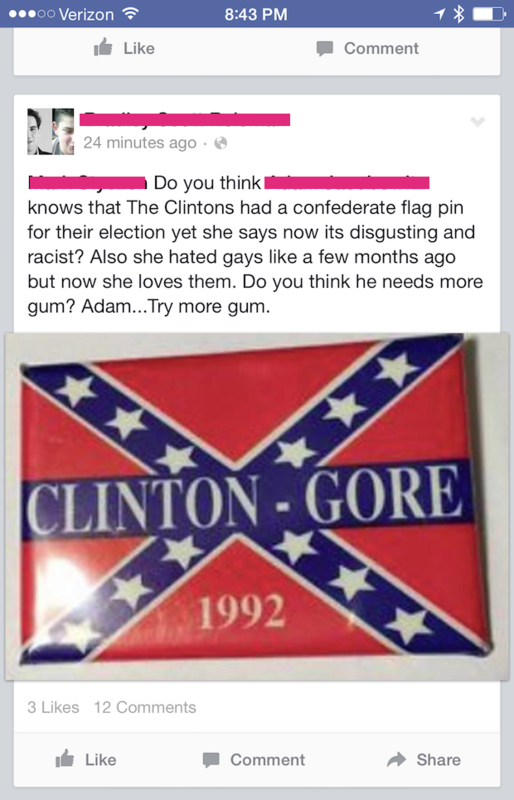 I’d bet the ‘Clinton – Gore 1992’ Confederate Flag Lapel Pin Made the Clinton’s a Small Fortune ‘Back in the Day’… Of Course, this was well before Hillary’s ‘wind-falls’ from betting cattle futures, the million dollar stump speeches, and the heady days of billion dollar ‘Clinton Foundation’ Cash Shakedowns. Source: GUESS WHO? Flip-Flop . . . You’ll Never Guess Who’s Campaign Pin This Is!! !